A set of rubber RIS covers "ladder style." It protects both handguard and shooter's hand from scratching and it also improves the grip of the weapon, however it doesn't enlarge the profile of the weapon as common RIS covers do. 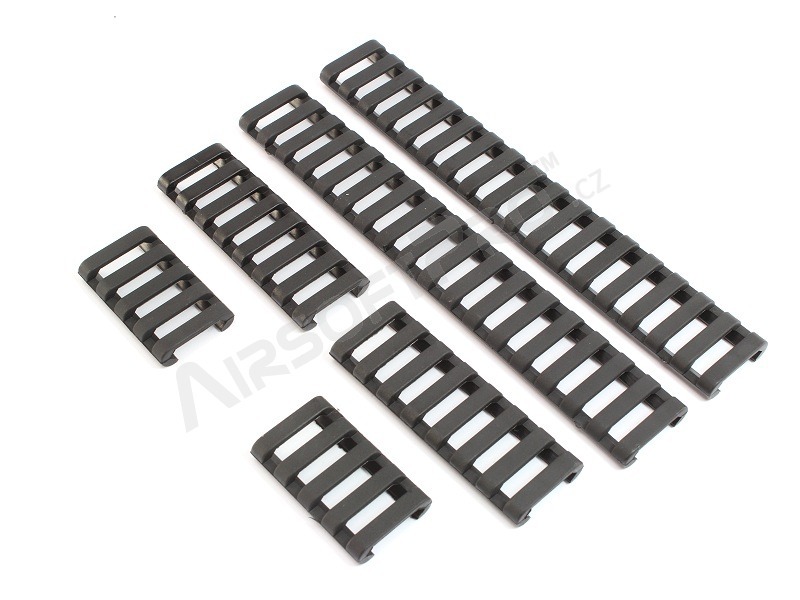 The package contains 3 lenghts: 176, 76 and 45mm- 2 pcs of each lenght.